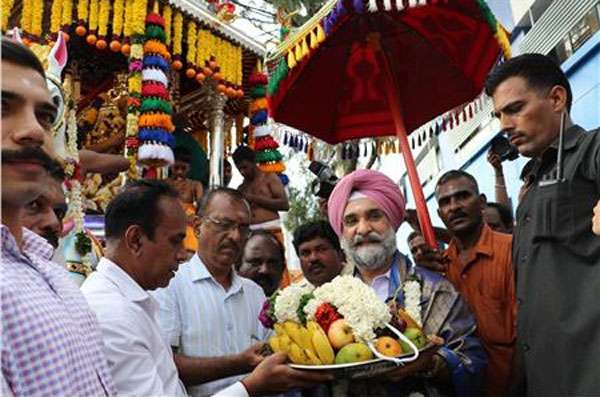 Indian High Commissioner Taranjit Singh Sandhu received blessings during the annual Vel Festival from priests in chariots belonging to the Sammangodu Sri Kathiervelayutha Swamy and New Kathiresan Temples, when the chariots passed in front of the Indian High Commission in Colombo. Nice 2 see a sikkhi going 2 a Hindu Temple accepting all religions r the same. A Sikh will do anything to survive.